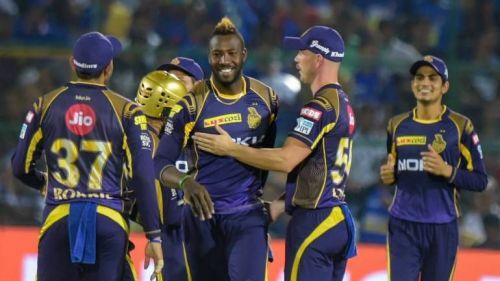 The Kolkata Knight Riders walk into the 2019 edition of the IPL as strong contenders to win the title. The team finished third in the IPL 2018 and lost the Qualifier 2 to the Sunrisers Hyderabad thereby missing out on a final berth. The 'Men in Purple' have a strong team which is equally good in all departments of the game. The team has some power-hitters who are capable of destroying the opposition's bowling attack on any given day. In terms of their top-order, the KKR have got a problem of plenty considering the number of options they have. It will be a big headache for Dinesh Karthik and the KKR team management to figure out their best combination at the top. Here is a look at how the KKR top 7 could line up in the best possible way. Sunil Narine has been a regular opener for the KKR in the last couple of years in the IPL. He was tried as a pinch hitter once in 2017 and since the experiment worked he has stayed there. Slowly, Narine is transforming into a top order batsman in T20 cricket. As things have worked out for the KKR, the team management would not like to tinker and we could see Narine play the same role in 2019 as well. Narine's IPL stats read 628 runs from 98 games at a strike rate of 168. The Queensland top-order batsman has been a force to contain in the shortest format of the game. Lynn has created a brand for himself with the word 'Lynnsanity' becoming a popular term in cricket. In the IPL, Lynn has been a fairly consistent batsman scoring 875 runs from 28 games at an average of 35. His presence bolsters the KKR batting line-up and multiples its prowess by several times. He is unlikely to move from his spot at the top of the order since the KKR do not have a better option than him. 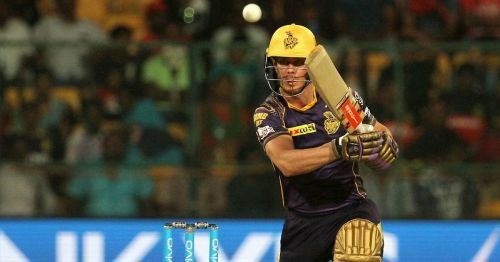 Chris Lynn will be looking forward to a devastating season in 2019.